#define Curves_mode 1 to 2, because 1 looks to blue. I still have the bug. The only thing that I forgot to mention that I have ReLive disabled/Desktop Recording set to off. I can't for the life of me trigger the UVD bug with this set of drivers. After 17.9.3, FreeSync is broke for 1920x1080 @60hz. It only works if I used 72hz. Not upgrading until that's fixed. I have old Reshade also, but i do not test every one. 0.19.2 with HighPass_settings.h did not work. 1.1.0 & 3.1.0 do not work also. Check this HighPass_settings.h (in forum also exists) it's a nice add on for Reshade. Last working driver for GCN 1.0 is 16.7.2 july 9. What do you mean about ''working'' every driver is ''working''. Well, since.....I use FreeSync and I put a report in with AMD, I fixed the "FreeSync not supported" issue after 17.9.3. So I used the Custom Resolution Utility (you can google this and it will be at the top of the search results) and changed the vertical range to 22hz - 80hz from the default 40hz - 72hz for my Samsung monitor (or whatever monitor is connected). Used the restart64 utility and boom.....FreeSync was enabled at 60hz. The monitor has a hardware enabled freesync, so it will only register up to 72hz and no lower than 59 hz in Standard Mode. It seems that they changed the FreeSync range starting with the driver 17.10.2. They also included a AMDCleanupUtility with 17.11.2 in the Bin64 folder. I highly recommend you use that versus the DDU as AMD specifically removed their drivers and registry keys. have you tried it? from what i know this hasnt been updated for last december. am i wrong? Uninstall AMD settings from Control Panel along with the Vulkan Runtime if applicable. 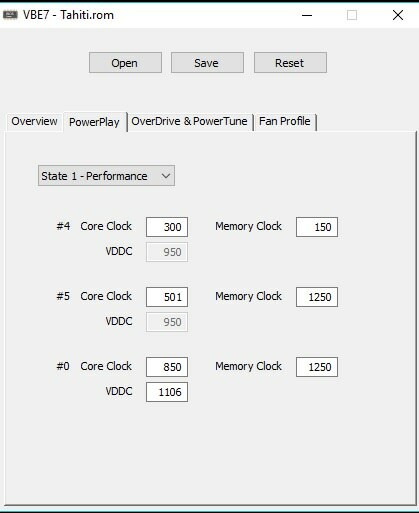 Turn ReLive off from AMD Radeon Settings. if you dont install ReLive you still get the uvd bug? That's actually a good question. My Reply is a bit lengthy, bear with me. I just pointed out the exact steps I took for someone else to replicate and resolve the matter. 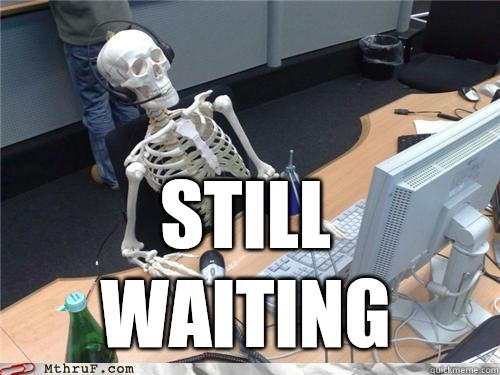 This UVD bug has been around for so long, that some people have accepted it as a feature and are too lazy or reluctant to try out possible fixes as previous experience with such remedies have only resulted in letdowns or simply ignoring the bug with workarounds like VBios mods (which I find stupid as it doesn't fix the bug). Opting out from installing ReLive during the driver installation doesn't bar the process from copying over the ReLive stuff, all it does is tucking it away which you can enable with a click. so opting out from it doesn't seem like a big deal. I installed ReLive because I find it useful, and the option for users to have both (to turn ReLive features on and off at will) could be beneficial. In rare instances, the bug can be triggered even with ReLive off, but not through any of the known procedures. I am happy to reset my graphics driver once in every 12 hours instead of every 10 minutes. Even with ReLive disabled or not installed in the prior drivers, things didn't behave any different at my end when it came to the UVD bug, and only after turning ReLive off with THIS particular set of drivers is the only time in ages I have noticed that the bug doesn't occur immediately. So you could see why I chose to not opt out from ReLive with the initial mindset that it's not associated with the UVD bug.. but turns out somehow it is. But I suppose you do raise a valid point. I am happy with how the driver's behaving for me and I am not going to mess with it to see whether opting out from ReLive during the driver installation makes a difference. Which set of installation files of 17.11.2 are you using...... apparently there are 2 sets. One dated 15th November, other 24th November. Could you test both sets with regards to the UVD bug. Positive news for 7900 owners. Currently fixed mine with bios mod. Thanks. I am tired of testing each driver after 16.7.2 july 9 (2016) and reverting back. I am using "non-whql-win10-64bit-radeon-software-crimson-relive-17.11.2-nov16.exe" downloaded from AMD's Site. Help me understand what this BIOS mod does, because I don't see how it can be held as responsible for fixing anything. What the UVD bug does is once it triggers, it denies your card to get back to idle clocks (300/150) and stays stuck in UVD clock (501/1250) even when the PC is idle, this causes the card to draw a tad bit more power which leads it to run a bit warmer than it would in it's idle clock; while in this state, if you enter a 3D application, it only uses your regular 3D clock (850/1250) and will ignore any kind of software overclock applied until you reset the driver. Resetting the driver eventually restores the ability for your GCN 1.0 card to idle properly but is frustrating. Once the UVD bug triggers, instead of idling at the usual UVD clock (501/1250) it idles at your increased clock speed (850/1250) which subjects it to unnecessary power draw and higher temperature. 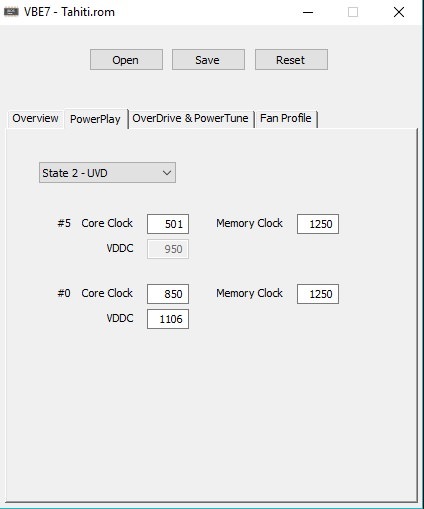 The positive though is that you can use your maximum stable overclock without the help of a driver reset if you do decide to mod the VBIOS with your OC clock speed. With the upcoming Crimson ReLive Redux in the horizon, I thought I'd make a properly informed YouTube video on the subject to draw AMD's attention. While recording the video with OBS and ReLive features turned off, I noticed that I couldn't trigger the UVD bug. That's when I discovered that with at least these set of drivers, it's possible to avoid the UVD bug if ReLive is turned off. I can't say if this can be replicated with each and every older release for certain. It's worth the try. With the Bios mod all you are doing is changing the UVD clock to be at the 3D clock of the card. The card idles at its normal clock, 2D clock is its normal 2D clock. 3D clock is its normal 3D clock. ONLY VALUE CHANGED IS UVD CLOCK TO BE AT THE CARDS 3D CLOCK. (Of course you can change other values if you want. ie Overclock via Bios). So there is no unnecessary power draw and higher temperature..... It is true, it is only a fix of sorts because the behaviour still happens. Bios mod gives stability when UVD clocks kick in then revert to normal values. In my case i have two bioses on the card... i just flash the secondary/slave bios. Hope this helps. You're under the impression that by simply changing the UVD clock to your default 3D clock gives you immunity/better stability from the UVD bug. The moment you're in a game (not in the menu, but within the game) and you open a YouTube video in the background or play a video using Windows Media Player, or scroll past your Facebook timeline that has a video posted/linked by someone, the bug is triggered and now instead of idling at your usual UVD clock (501/1250) you're now idling at 850/1250. Some of the older 3DMark Firestrike builds will instantly trigger this behavior too. This is why I have said that the VBIOS flashing is counter productive. In the last few driver releases, simply playing back a video and then exiting the media player would cause it to trigger the bug, which is why I almost wanted to make a video on YouTube about it, as there's hardly any talk about it there. Edit: I have slightly updated my previous post as I felt what I wrote earlier felt convoluted. Yes, I used it and it will remove all traces of AMD's video driver. DDU will do the same, but there is higher chance of BSOD (blue screen of death). I also made an adjustment to the FreeSync range as it depends on the monitor. Setting the range at 22hz is too low, so 25hz - 72hz is my recommendation for restoring functionality with FreeSync. Simply just trying to assist you. Dont have a lot of time on my hands to go through everything with you. I will leave you with this. Bios mod for 7900 cards are effective and are common. I recommend you doing it yourself and do all the testing you can..... may be your particular model of card. Good luck sorting out your issues. Hope this helps. For what I understand, UVD has two dedicated 3D clocks (not only one), lowest (500/xxxx) and highest (same as regular max 3D on a non boost card like 1000/xxxx, or on boost cards, similar to a non-boosted 3D clock as 850/xxxx). What is usually suggested is to set the highest UVD clock the same as your OC'D 3D clock that you'll also replace as the highest 3D one. By this way, when there's need for the highest UVD clock with video, even if it gets stuck, it'll be the same as your 3D OC'd clock. Then, when your card is stuck in UVD clocks it'll either be a 500/xxxx or your OC'd 3D clock. This solves the problem of having slower clocks on 3D if you get stuck with the pair of dedicated UVD clocks. Now, for having the card idle at 500/xxxx (lowest UVD clock), you can the force the lowest UVD clock to 300/150. By this way, the car will idle at that speed that matches the regular idle clock, but boost to the highest UVD clock (which is now the same as you OC'd 3D clock) when a video demands it. There's only a problem with this, I think if you require a higher power limit for your OC'd 3D clock (which is now set as the highest UVD too), I'll have to be set as the base power limit on your card via bios edit too. Because when the card is using the highest UVD clock instead of the true 3D clock, it'll ignore software applied settings (such as oc, power limit).